Burlington, Mass. – Philips Color Kinetics today announced IntelliPower, its newest innovation for delivering high-bandwidth LED lighting control using existing electrical and physical infrastructures. IntelliPower makes it easy to deploy intelligent, digitally controllable LED lighting solutions in any situation where re-wiring is not desirable or feasible, including historic buildings, in-ground systems, bridges, and monumental exteriors. With IntelliPower, Philips Color Kinetics is building on its expertise and leadership in LED lighting to deliver the benefits of a state-of-the-art LED lighting system without requiring expensive or disruptive rewiring, renovation, or excavation work. Philips recently debuted IntelliPower to re-light the towers on Boston’s iconic Leonard P. Zakim Bunker Hill Bridge with intelligent, color-changing LED lighting fixtures from Philips Color Kinetics. 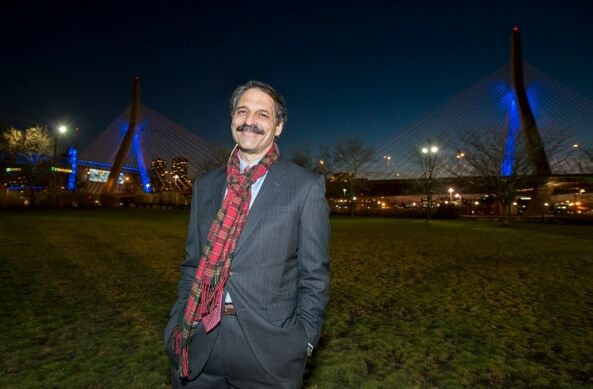 With just the push of a button, the Massachusetts Department of Transportation can change the colors and intensity of the lights as well as display dynamic, color-changing light shows, while at the same time reducing energy consumption by more than 80% over the previously installed conventional lighting system. In addition, because IntelliPower uses the wiring and fixture mounting points already on the bridge, the Massachusets Department of Transportation also saved money on the installation. IntelliPower is ideal for all installations, small to large, where re-wiring may be difficult or cost-prohibitive. Unlike other LED solutions which use low-bandwidth data transmission for switching and dimming a limited number of fixtures, IntelliPower employs high bandwidth, bi-directional, Ethernetspeed data transmission for a robust solution that enables the full range of dynamic, color-changing effects. IntelliPower affords new ways to transform structures and spaces in cities and communities by lowering overall installation and maintenance costs while bringing the deployment of intelligent, digitally-controlled LED lighting systems in line with budgetary constraints. Building on its expertise in lighting some of the world’s most iconic structures, including the Empire State Building, Miami Tower, and the Corpus Christi Harbor Bridge, Philips Color Kinetics continues to deliver LED innovations to transform environments using highly efficient, long-lasting environmentally friendly, and inherently digital source of illumination. More information about IntelliPower is available at www.philipscolorkinetics.com/ls/pds/IntelliPower/. 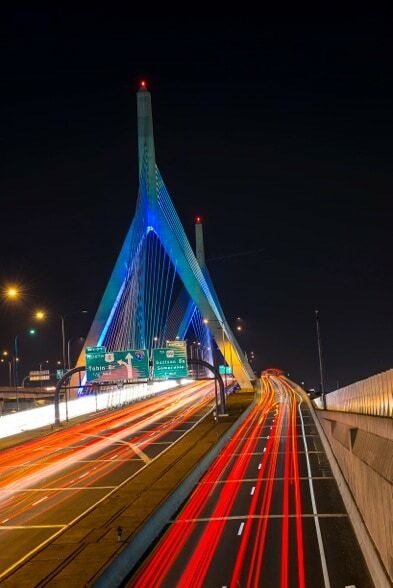 Philips recently debuted IntelliPower to re-light the towers on Boston’s iconic Leonard P. Zakim Bunker Hill Bridge with intelligent, color-changing LED lighting fixtures from Philips Color Kinetics. 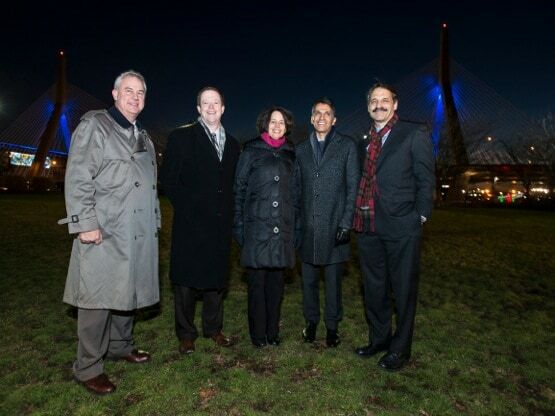 Philips Color Kinetics General Manager Jeff Cassis joined Massachusetts Department of Transportation (MassDOT) Secretary & CEO Richard A. Davey, local officials, community leaders, the Zakim family and The Lenny Zakim Fund to celebrate the relighting of the Leonard P. Zakim Bunker Hill Bridge. Download Web-friendly video footage here, or contact amy.shanler@philips.com for high-resolution, broadcast quality footage.